Find a solution for every storage problem with these simple, affordable tags and stickers in fun designs. 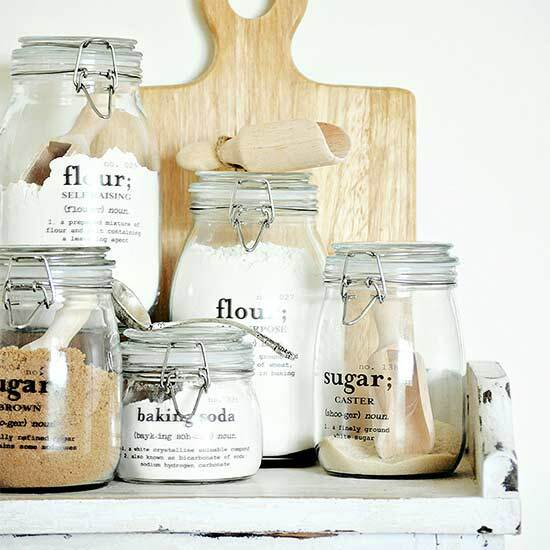 Keep your space organized with these pretty pantry labels. 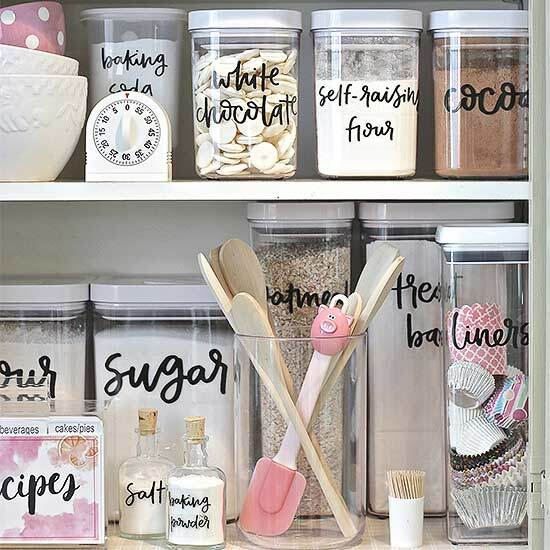 Create a beautifully organized pantry with the round-up of these free printable pantry labels– plus a few tips for making the most of your pantry space. These beautiful, hand-lettered labels by “The Creative Exchange” makes any pantry look great. With more than 45 hand-lettered printable labels available for free download here, you can make everything in your pantry organized. For this set of labels, use clear full-size sheets of sticker/label paper and print. In the end, cut around the lettering to fit that on your storage container. If you don’t have a dedicated pantry space, consider using a bookshelf or a side table in your kitchen. Kristine from The Painted Hive offers these beautiful, classic dictionary labels she uses on crock-style jars for open pantry storage. Kristine has 17 labels in the free set that she offers on her blog here, along with a detailed tutorial for printing.